The high school years can be particularly challenging for teens to navigate successfully. The reasons why a teen comes to see me are varied. Sometimes it is at the urging of their parents because they are observing patterns of behavior in their child that is concerning. Often when a teen comes in to see me they are seeking my help because they are feeling overwhelmed, stressed, anxious and/or depressed. Adolescents often have negative thoughts about themselves, exacerbated by comparing themselves to their peers, often creating a false belief that they are not “good enough”. I assist young people to identify their strengths and build on them, while also identifying the thoughts, beliefs, and assumptions that make life more challenging for them. If substance abuse is an issue, I am not only a licensed psychotherapist, but a certified, registered alcohol and drug specialist. I completed an additional two years of studying chemical dependency at the University of California at Berkeley and an additional four thousand hours of training. Many teens take issue with seeing a “therapist”, which is why it sometimes helpful for parents to reframe my title from therapist to life coach. My analogy is that just as in sports there is a coach to help you perform better – I am a coach for helping you to perform, improve and feel better in life. 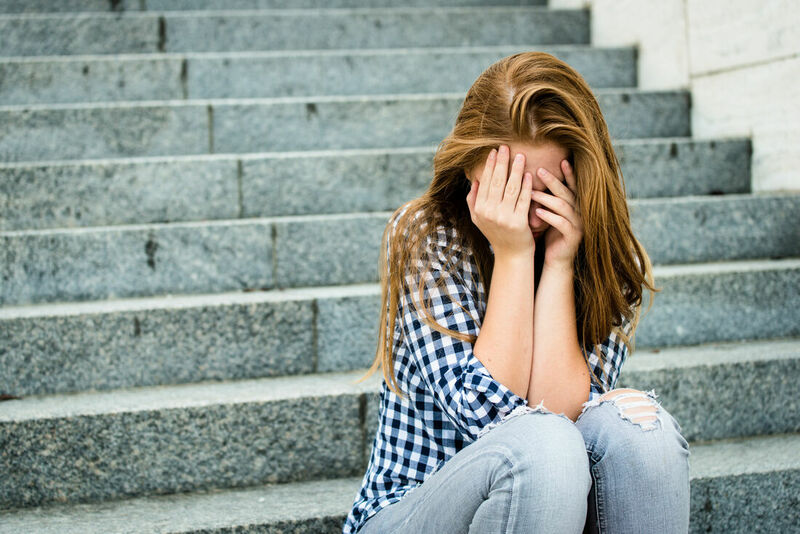 Many teens initially feel that they are being forced to come to therapy by their parents. In that case I approach teens with a unique offer. I ask them to give therapy a try for three sessions. If after three sessions, they do not feel I can teach them any skills or help them with their challenges, I will convey to their parents that they are not ready for therapy. My offer usually makes parents nervous, understandably, but in the past eight years, seeing hundreds of teens, I have only had two young people decide not to continue therapy with me after three sessions. My ability to create a strong connection with the teen within the first three sessions is why they continue to see me. The importance of connecting with a teen cannot be understated. In order to foster that connection, a teen must feel listened to and heard, not talked down to or judged or told what to do. The young person must feel safe and know that what we discuss in session is confidential. If something comes up that I think is important for their parents to know, I initially encourage them to talk to their parents on their own. If that is too difficult, I offer to bring their parents in for a family session. In the family session I will help them to openly share the issues that may be of concern to their parents. I have rarely have experienced a teen be unwilling to talk with their parents about critical issues in a therapeutic and supportive environment. Cognitive Behavioral Therapy, (CBT) which focuses on examining the relationships between thoughts, feelings, and behaviors, in order to modify patterns of thinking to improve coping skills. I help young people to challenge their automatic negative thoughts – what I call “ANTS” by looking for the evidence that does not support their negative thought and helping them to replace their negative thought with a more balanced and realistic thought. This process helps them to change their core belief from “I’m not good enough” to a belief that “I am good enough”. I use handouts that are designed as skill building exercises. These assignments help the teen work on building and improving on their self-esteem. Dialectic Behavioral Therapy, (DBT) Dialectical-behavioral therapy (DBT) combines cognitive-behavioral techniques and mindful awareness derived from Buddhist traditions. is an evidence-based treatment model that helps people who struggle with patterns of chaos and distress learn new ways to cope. This form of therapy focuses on developing skills to cope with stress, reducing mood swings and distress, and improving relationships with others. Through mindfulness and skills training, I help your teen to develop a stable sense of self, learn to regulate their emotions, and effectively interact with others. DBT skills are taught in order to assist in emotion regulation, distress tolerance, interpersonal effectiveness and core mindfulness. The goals of DBT is to reduce impulsivity and self-harm behaviors and develop more emotionally stable lives worth living. It helps the young person to identify their strengths and build on them, while also identifying their negative thoughts, beliefs, and assumptions that make life more challenging for them. Motivational Interviewing Therapy, (MIT) is a way of talking to a teen that inspires the teen to seek healing and transformation through their own volition. It is free from judgment or lecturing or telling them what they should or should not do. It is the rare individual that like being told what to do or not do, especially a teen. If conducted skillfully I am helping them to create their own insight. Motivational Interviewing is conducted by being genuinely curious about current events and situations that have led the teen to come to experience negative consequences in their lives. By asking open ended questions I am directing and leading the teen down a path that I believe will help them to have what I call the “ah ha” moment. For example, if a teen states to me “well maybe if I didn’t smoke pot my grades might improve” I immediately validate their “change talk” and ask them what do they need to stop smoking pot or what might get in their way of success. Finally, today much more is understood about the neuropsychological development of children and how relational patterns within the family impact them. Early intervention with children and active family involvement can lead to positive emotional shifts and more effective communication.